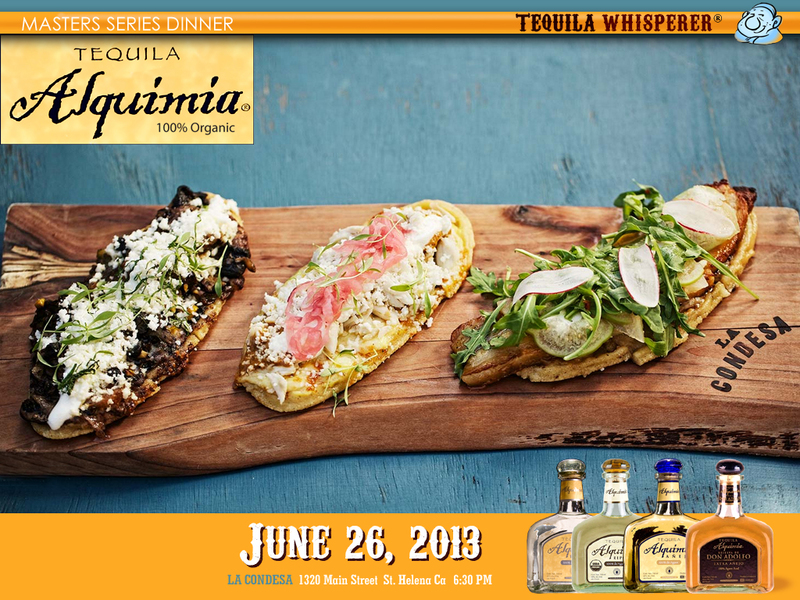 Your TEQUILA WHISPERER presents his “Master Series Dinner” for June with an in-house dinner + tequila pairing at La Condesa restaurant in St. Helena, Ca. Available for the first time in the Napa Valley, Tequila Alquimia. A 100% organically farmed gourmet tequila. Prepare to get wonderfully natural and organic! Because this month we are sponsoring one of Mexico’s flagship ORGANICALLY produced tequilas: Alquimia. We’ll be hosted by Founder, Dr. Adolfo Murillo. In his informative and lively presentation, Don Adolfo will walk us through his production process and show how it differs from the bigger agri-conglomerate methods of more corporate tequilas. His process results in agave plants of record-breaking size and sugar content. This translates into a tequila product of unparalleled complexity and richness. Lippy, your Tequila Whisperer, has featured Tequila Alquimia on one of his very first live-streaming webcasts. It is his honor to present this world class organically grown tequila to the Napa Valley. La Condesa’s “Farm-to-Table” culinary concept and its dedication to humane, local, and sustainable food make it a natural pairing with Tequila Alquimia. We look forward to presenting the bounty of Northern California’s gastronomical wonders in this celebration of organic and natural food and drink. 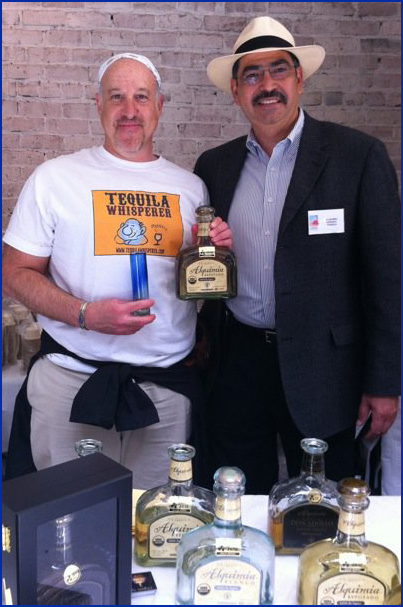 Lippy poses with Alquimia Founder, Don Adolfo Murillo at the Tequila & Tamales By The Bay event in San Francisco. Be SURE to reserve your seat using the BUTTON at the BOTTOM of this page & specify that your reservation is for 6:30! La Condesa has a reputation for serving outstanding Mexican-influenced gourmet dining. You will find our ALQUIMIA Dinner Menu below. CLICK Here to Reserve Your Table!